This article is about U.S. law enforcement official who was killed in 2011. For other uses, see Jaime Zapata (disambiguation). Jaime Jorge Zapata (May 7, 1978 – February 15, 2011) was an Immigration and Customs Enforcement, Homeland Security Investigations Special Agent who was ambushed and murdered by the Mexican criminal group Los Zetas in San Luis Potosí, Mexico. He was one of the two agents that were ambushed in a part of the country that is increasingly under the influence of drug violence. Zapata's death is the second highest-profile killing of a U.S. agent in Mexico—the first one was Enrique Camarena, an undercover DEA agent who was tortured and murdered by the former Guadalajara Cartel. Zapata was born in Brownsville, Texas, United States, a border city directly north across Matamoros, Tamaulipas, Mexico. He was one of five brothers, all in the field of criminal justice. Zapata attended Homer Hanna High School, and later graduated from the University of Texas at Brownsville in 2005, where he attained a degree in Criminal Justice and an associate degree in Applied Science. Zapata entered on duty with the U.S. Customs and Border Protection (Office of the United States Border Patrol) on February 6, 2006, as a Border Patrol Agent. Zapata was a member of the U.S. Border Patrol Academy's 611th Session. After his graduation Zapata was assigned to the Yuma, Arizona Border Patrol Station. 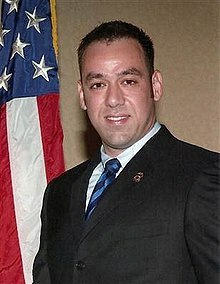 Zapata then joined Immigration and Customs Enforcement, Homeland Security Investigations in 2006, after being assigned to the Office of the Deputy special agent in Laredo, Texas, where he served on the Human Smuggling and Trafficking Unit and in the Border Enforcement Security Task Force. Two U.S. Homeland Security Investigations special agents, Jaime Zapata and Víctor Ávila, were traveling from Laredo, Texas to Mexico City on an assignment for U.S. Immigration and Customs Enforcement. As they drove through the northern state of San Luis Potosí, the agents noticed two SUVs following them down Highway 57, a four-lane, federal highway from Mexico City to Monterrey. The two vehicles that came up behind them were at a high rate of speed, and were described as driving "aggressively," according to agent Ávila. One vehicle passed the agents’ Suburban, while other gunmen started to fire at their vehicle, and eventually rammed them off the road. As one of the agents rolled down the window to inform them that they were U.S. diplomats, the agent recalls how one of the gunmen got off his vehicle, with a rifle in his hand, forced the door of the agents’ car open and shot point blank at them. When Zapata shifted the vehicle into park, its doors automatically unlocked. The Zeta gunmen pulled open the driver's side door and tried to drag Zapata out, but he fought them off, managing to re-lock the doors. The agents, however, managed to crack the windows to talk with the assailants and identify themselves. The agents hoped to reason with the gunmen—as many as 15 of them—who surrounded the vehicle. According to congressman McCaul, the agents said "We're Americans, we're diplomats", and the response from the drug cartels was bullets. The gunmen then fled, and Ávila was able to use his cellphone to call for help. Dying, Zapata managed to put the car in gear and drive away before collapsing at the wheel. Soon afterwards, a Mexican federal police helicopter arrived where the two agents were. Ávila was shot twice in the leg, and was later sent to a hospital in Houston, Texas. Jaime Zapata, however, gravely injured from three bullet wounds, died before the authorities could aid him with medical treatment. According to federal sources, the ambush took place at a fake military checkpoint established by the gunmen, who were dressed in camouflage uniforms and armed with machine guns. There has been controversy of whether this attack was from a group of Los Zetas carrying on their own operation, or whether this incident was a well-planned and intentional ambush attack against the American agents. The captured individuals allegedly involved in the attack revealed through their interviews that they had mistaken the agents for a rival drug cartel. The agent's account, however, mentions that the gunmen apparently knew that they were attacking U.S. law enforcement officers, since after Zapata mentioned that they were American diplomats, the Zetas said "We don't give a [expletive]" and shot both of them. Moreover, the diplomatic plates also indicated U.S. officials were on board. Texas Congressman Michael McCaul mentioned that the gunmen opened fire at the agents after they had identified themselves as U.S. diplomats. Five months after the slaying of Jaime Zapata, a report from the White House noted that Zapata's family demanded to know the source of the weapons used in the attack. The gun that killed Zapata and wounded Víctor Ávila—a semi-automatic WASR-10—was purchased by Otilio Osorio in Dallas, Texas, the serial number obliterated, and smuggled into Mexico along with nine additional rifles. Congressional investigators have stated that Osorio was known by the ATF to be a straw purchaser months before he purchased the gun used to kill Zapata, leading them to question the Bureau's Operation Fast and Furious leading to the illegal purchase and export of the murder weapon. Mexican functionaries mentioned that although their efforts have been significant, without full cooperation from the United States in preventing the drug consumption in the U.S., the flow of American weapons and of cash south of the border into the hands of the Mexican criminals, there will not be any significant improvement in dismantling the drug cartels. On another note, the slaying of Zapata has sparked a debate on whether U.S. agents in Mexico should be allowed to carry guns to defend themselves. President Felipe Calderón mentioned during his visit to Washington, D.C. on March 3, 2011 that "alternatives" would be examined with Congress to improve the security of U.S. agents working in Mexico. Laredo honors the memory of Jaime Zapata through the naming of the highway between U.S. 83 and Bob Bullock Loop 20. The death of Jaime Zapata allowed for the United States to work closely with officials on the Mexican-led investigation to ensure the perpetrators were captured as quickly as possible. Throughout the investigation, all the killers were eventually captured, including Jesús Enrique Rejón Aguilar, the third most powerful leader in Los Zetas and boss of the state where Zapata was killed. As tribute to Zapata's death an avenue in Brownsville was renamed after him. – Barack Obama: "The United States will work with Mexico to bring the assailants to justice." – Janet Napolitano: "Let me be clear: Any act of violence against our ICE personnel — or any DHS personnel — is an attack against all those who serve our nation and put their lives at risk for our safety." – Michael McCaul: "The United States will not tolerate acts of violence against its citizens or law enforcement and I believe we must respond forcefully." – Pat Ahumada: "I am angered by this and frustrated that the Mexican government is not providing security to our agents while we are trying to help them. Criminals have the firepower in Mexico." – Felipe Calderón: "His death must urge us to work together to ensure a prosperous and peaceful future for our region." "One of those weapons [of Operation Fast and Furious] was the one that killed officer Zapata, an American agent in Mexico... the American agencies should stop the criminal flow of arms into Mexico." – Fernando Toranzo Fernández: "We will use all our judicial and investigational instruments to find those responsible." – Alejandro Poiré: "The President said it before: there's a huge demand of drugs in the U.S., and Mexico is the corridor for that market. The flow of weapons to Mexico from the United States are acquired by the Mexican drug cartels. That generates violence." ^ Brito, Luis (February 17, 2011). "Jaime Zapata, el segundo agente asesinado en la historia del ICE". CNN Mexico. ^ "Hombres armados balean en México a 2 agentes de EU; uno de ellos muere". CNN Mexico. February 15, 2011. ^ "Jaime J. Zapata, U.S. Homeland Security Investigations, shot and killed in Mexico (VIDEO)". News Desk. February 16, 2011. ^ Corcoran, Katherine (February 16, 2011). "Gunmen Kill US Agent, Wound Another, in Mexico". ABC News. ^ Attkisson, Sharyl. "Murdered U.S. agent's family wants answers". CBS News. Retrieved 20 November 2011. ^ Gomez, Serafin (February 16, 2011). "Who was Jaime Zapata? Hero Remembered". Fox News. Archived from the original on October 20, 2011. ^ "Rep. Farenthold and Cuellar applaud the Passage of the Jaime Zapata Border Enforcement Security Task Force Act". My Harlingen News. September 22, 2011. ^ "Jaime Zapata Border Enforcement Security Task Force Act" (PDF). CONGRESSIONAL BUDGET OFFICE. Retrieved 21 October 2011. ^ "ICE special agents brutally attacked; suspects sought by authorities". U.S. Immigration and Customs Enforcement. February 16, 2011. ^ "Drug gang shot U.S. agents, Mexican governor says". MSN News. February 16, 2011. ^ "Jaime Zapata Told Gunmen "We're Diplomats"". Fox News Insider. February 17, 2011. Archived from the original on July 8, 2012. ^ "Agent battled with his killers". My San Antonio News. February 17, 2011. ^ Leibowitz, Barry (February 16, 2011). "Jaime Zapata, U.S. Immigration Agent, Shot Dead in Mexico in Apparent Ambush". CBS News. ^ "Who was Jaime Zapata? Hero Remembered". Fox News. February 16, 2011. Archived from the original on October 20, 2011. ^ "Cartel hit possibly behind US agent killing, congressman says". CNN News. February 17, 2011. Archived from the original on 2011-03-22. Retrieved 2011-10-21. ^ "Se confunden los Zetas matan a Agente de EU". Oye Mexico. 24 February 2011. ^ Longmire, Sylvia (2011-02-21). "Homeland Security Implications Of Los Zetas Attack On ICE Agents". Homeland Security Today. Archived from the original on 2011-09-07. ^ "RPT: Mexican Gunmen Knew They Were Firing at ICE Agents". Fox News Insider. February 17, 2011. Archived from the original on July 10, 2012. ^ "Second gun used in ICE agent murder linked to ATF undercover operation". CBS News. Retrieved 13 March 2012. ^ "Assault rifle used in U.S. agent's killing in Mexico traced to Texas". LA Times. Retrieved 30 November 2011. ^ "Janet Napolitano desconocía que EU permitía el tráfico de armas a México". CNN Mexico. March 9, 2011. ^ Perez-Trevino, Emma. "Straw purchaser of guns pleads guilty in Dallas; defendant linked to Zapata death". The Brownsville Herald. Retrieved 15 November 2011. ^ "Issa, Grassley Press for Additional Information on Death of ICE Agent Zapata, Tactics Used in Texas" (Press release). Committee on Oversight and Government Reform. October 26, 2011. ^ "Una de las armas usadas contra el agente Zapata provenía de Texas". CNN Mexico. February 28, 2011. ^ "Mexican judge starts extradition process for U.S. agent's killer". Fox Latino News. May 17, 2011. Archived from the original on June 14, 2012. ^ "Killing of U.S. Agent In Mexico Could Raise Pressure on Mexico". CSMonitor. 16 February 2011. ^ "Alleged Zetas Cartel Leader Captured by Mexican Police". New York Times. July 4, 2011. ^ "Coffeeport Road Renamed in Honor of ICE Agent Jaime Zapata". KVEO-TV. 29 March 2011. Archived from the original on 6 December 2013. Retrieved 6 December 2013. ^ "Obama calls parents of killed agent". Politico 44. February 16, 2011. ^ "1 U.S. customs agents dead, 1 wounded in Mexico". MSN News. 2011-02-16. ^ "Statement by Congressman Michael McCaul (R-TX)". Washington, D.C. Office. February 16, 2011. Archived from the original on May 8, 2011. ^ "Condolences for family of slain ICE agent". The Brownsville Herald. February 16, 2011. ^ "Grave, la inseguridad en SLP, dice el gobernador". La Jornada. February 17, 2011. ^ "No hay corresponsabilidad en el decomiso de armas por parte de EU: Poiré". CNN Mexico (translated). February 23, 2011. Juan García Ábrego is a Mexican former drug lord who started out his criminal career under the tutelage of his uncle Juan Nepomuceno Guerra, who is reported to be the former head of a criminal dynasty along the Mexico–United States border now called the Gulf Cartel. 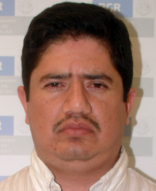 Antonio Ezequiel Cárdenas Guillén, commonly referred to by his alias Tony Tormenta, was a Mexican suspected drug lord and co-leader of the Gulf Cartel, a drug trafficking organization based in Tamaulipas. He headed the criminal group along with Jorge Eduardo Costilla Sánchez. Antonio was considered by Mexican security forces as one of Mexico's most-wanted men. Héctor David Delgado Santiago, commonly referred to by his alias El Metro 4, was a suspected Mexican drug lord and high-ranking leader of the Gulf Cartel, a criminal group based in Tamaulipas. Born and raised in Matamoros, Tamaulipas, El Metro 4 initiated his criminal career by working with Los Metros, an enforcer gang of the Gulf Cartel. On 9 November 1999, two agents from the United States Drug Enforcement Administration (DEA) and Federal Bureau of Investigation (FBI) were threatened at gunpoint and nearly killed in Matamoros, Tamaulipas, Mexico, by gunmen of the Gulf Cartel, a criminal group based in the area. The two agents traveled to Matamoros with an informant to gather intelligence on the operations of the Gulf Cartel. As they cruised through one of the properties owned by the criminal group, they noticed several vehicles following them. The agents were forced to a stop and were corralled by a convoy of eight vehicles, from which fifteen gunmen emerged and surrounded the agents' car. Some of them wore uniforms of the local police. Among the gunmen was the former kingpin Osiel Cárdenas Guillén, who recognized the informant and ordered the three of them to get out of their vehicle. Juan Carlos de la Cruz Reyna is a convicted Mexican criminal and former high-ranking member of the Gulf Cartel, a criminal group based in Tamaulipas. He was also a senior member in Los Zetas, the Gulf Cartel's former paramilitary group. In the 1990s, de la Cruz Reyna was an officer in the Tamaulipas State Police while working as a hitman for the Gulf Cartel. After he left the agency in 1999, he became a bodyguard for former Gulf Cartel kingpin Osiel Cárdenas Guillén, and was eventually promoted to regional leader of the cartel in Tampico. He reportedly had policemen on his payroll, and managed international drug trafficking shipments from Central and South America.